A popular tourist attraction in St. John's, Government House represents the authority of the Crown through the office of the lieutenant-governor. The House and its adjacent grounds are the site of many ceremonial occasions and formal receptions each year. Although the position of lieutenant-governor retains a constitutional function, it has ceased to occupy an active role in provincial politics or judicial administration. Like the Colonial Building, which once housed the legislature, Government House no longer represents political power but rather an important part of our heritage. View of Government House and grounds as seen from the southern side. Visible in the photo are the walkway through the grounds and the greenhouse in front of Government House. However, while the popular image of the Colonial Building still includes the fierce battles over confederation with Canada, the public has tended to overlook the fact that Government House has witnessed equally momentous events in our history. In many ways, Government House has a political legacy as contentious as that of the Colonial Building. Built by the island's first civil governor, Sir Thomas Cochrane, it marked the transition from naval to civilian government in the nineteenth century. Following the passage of the 1824 Judicature Act, the British government appointed Governor Cochrane in 1825 to oversee the inauguration of colonial status and a series of legal reforms. During his nine-year tenure, Cochrane became drawn deeply into the heated debates over whether Newfoundland should have its own locally-elected legislative assembly. In spite of Cochrane's opposition, the British government granted Newfoundland representative government in 1832, signaling the birth of electoral politics throughout the island. Soon after arriving at St. John's, Governor Cochrane surrounded himself with all the available trappings of his office. Such an unprecedented array of pageantry -- from public parades to private receptions -- created an initial wave of popularity. But this was not enough for Cochrane, who wanted to make his mark as a prominent colonial official. 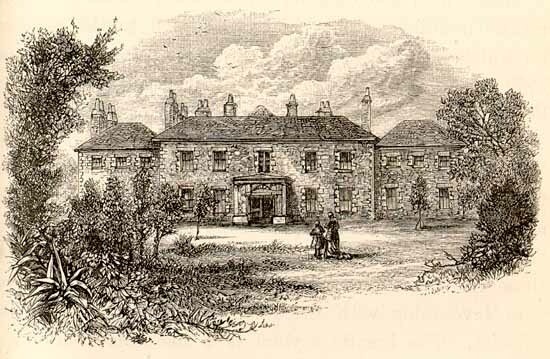 He commissioned building plans for a grand residence on Military Road. 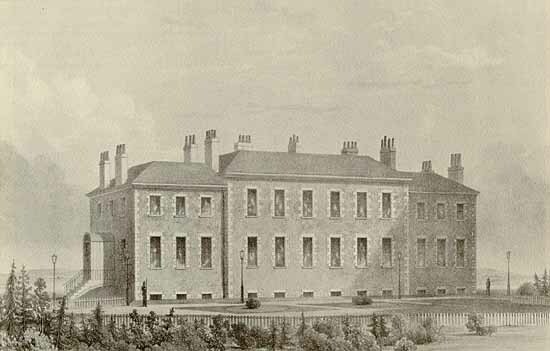 Completed in 1831, Government House cost £38,175, which was five times the original estimate and an enormous expense at the time. It had been paid out of unauthorized bills, and officials in London took a dim view of what they saw as unwarranted extravagance. The British government decided to punish Governor Cochrane by reducing his salary from £4,200 to £3,000. While the colony experienced economic hardships, Cochrane became increasingly unpopular as he found himself unable to contain political forces beyond his control. When Cochrane's tenure as governor ended in 1834, an angry crowd jeered him as he left St. John's. Drawn by W. R. Best, the sketch shows the south side of Government House. The main entrance, on the north side of the residence, faced the farms on the outskirts of St. John's. From Charles de Volpi, Newfoundland: a Pictorial Record (Sherbrooke, Quebec: Longman Canada Limited, ©1972), 71. The early years of Government House reveal two key aspects of its place in the heritage of Newfoundland and Labrador. First, the House cannot be separated from the administrations of those who occupied the office of governor. Far from representing merely the ceremonial authority of the Crown, for most of our history the governors wielded considerable political power. They were invariably active in politics and often partisan in their policies. The course of the governors' administrations was in large measure determined by personal agendas and temperaments. In other words, the story of Government House is interwoven with the individual histories of the governors themselves. Second, and equally important, Government House is part of the history of an institution that stretches back nearly four hundred years. Beginning in 1610 with John Guy's settlement at Cupids, the office of governor was the central instrument of law and government in Newfoundland. Government House was not the first official residence of the island's governor. From the appointment of Captain Henry Osborn in 1729, the commodore of the naval squadron sent annually to Newfoundland had operated the governorship from his flagship in St. John's harbour. 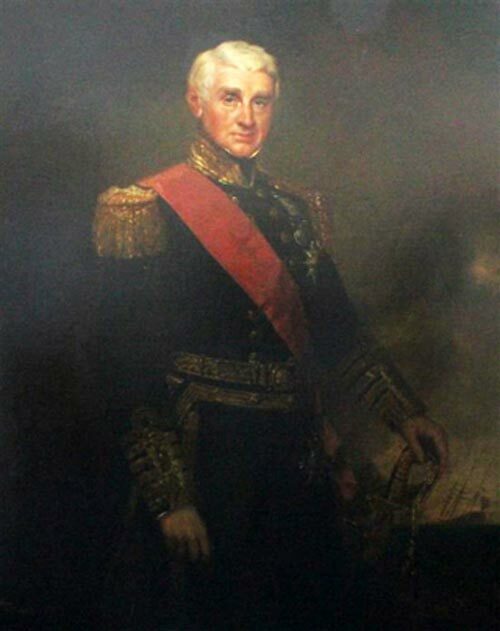 Governor Cochrane was himself a captain in the Royal Navy, and his term in office reflected both his own experiences as a naval officer and the traditions of naval government which he inherited. The building of Government House marked but one stage in the development of an institution that continually evolved according to contemporary political currents. In short, to assess the place of Government House in the heritage of Newfoundland and Labrador, one must consider the administrative history of the governorship. A sketch of the north side of Government House by Percival Skelton. The viewer is looking south toward St. John's harbour. From Joseph Hatton and the Rev. M. Harvey. Newfoundland, the oldest British colony: its history, its present condition, and its prospects in the future (London: Chapman and Hall, 1883), 155. The Government House Web Site consists of three main sections. First, it provides a brief profile of each of the 102 governors of Newfoundland and Labrador, from the sponsored colonies in the seventeenth century to the present day. Second, it offers a summary of the institutional history of the governorship. This part of the site divides the office of governor into six eras: early governors and commodores; naval governors; colonial governors; governors under responsible government; governors under Commission of Government; and lieutenant-governors. These articles explain both the specific elements of each type of administration and the broader political and legal contexts in which the governors lived and worked. Third, the web site presents a description of Government House itself. Employing audio-visual tools, this section provides a virtual tour of the House, an account of its construction, and a sampling of its artifacts and artwork.